The thickness of the bars is 28 mm, which is the Olympia standard. The high amount of details make close up shots possible. 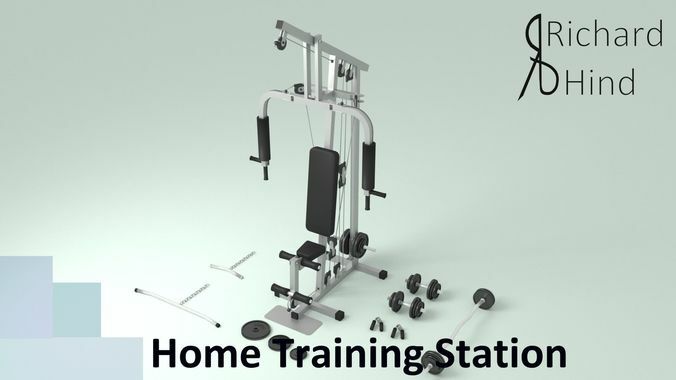 The station can be used for bench-pressing, butterflys, leg raises, pull ups and more!